Where does police surveillance overstep the privacy of the people they are sworn to serve and protect? Who holds those accountable for personal vendettas using their position as law enforcement? Punishable under Article 42, Government officials, including police officers, may be required to pay monetary damages to a victim of wrongful arrest, according to Title 42, Section 1983 of the U.S. Code. A wrongful arrest is a violation of constitutional rights. Hummelstown police staked out the apartment of my daughter, who recently moved back to Pennsylvania after 18 years to be reunited with her family, only to be targeted by the same officer who swore she would put her brother in prison. This officer lied about the actions of her brother to get him convicted. Now she is continuing her personal vendetta by targeting the sister. Hummelstown police took garbage outside the apartment to find probable cause to get a search warrant. They found Cannabis stems in a garbage bag, got a search warrant to find one peace pipe and a Cannabis roach in the apartment. Now my daughter has been fingerprinted and put into the Criminal Justice System. These actions stem from profiling and Targeting for THREE Generations. Enough is enough. All those who are responsible for these wrong doings, Will Be Held Accountable. There is a hearing 8am at District Justice Pelino on July 25th. DJ Pelino is the same person who propositioned me as an 18 year old girl when I worked at I Hop restaurant in Hershey. I thwarted his advances and my family has been under attack ever since. He has continually violated the 1st, 4th , 5th, 8th and 14th Amendment rights to prosecute my family. How can my daughter get Justice when the opposite is the example of his judgment? I will gladly submit to taking a Polygraph to prove these statements are true. In contacting the Pennsylvania Chief Justice Ronald Castile’s office, in regards to the mistreatment of Shellby’s brothers by the Criminal Justice System, it has been verified there are legal grounds for a lawsuit. By profiting off the disease of alcoholism, refusing treatment violated their Civil Rights. These latest actions of the Hummelstown police prove this. This letter is written in regards to my sons. They have been repeat offenders, violating probation due to their fatal disease of Alcoholism. Recognized by the American Medical Association as a fatal illness, we question why we keep treating alcoholics as criminals? Is it just to profit the criminal justice system or is rehabilitation the goal? If you want to make a difference in the recidivism rate, the breakdown in the family unit, and lower the prison numbers then treatment needs to be an option. Education regarding the disease is needed before diagnosis can occur. With 75-80% of people incarcerated under the influence of alcohol or drugs at the time of arrest, we can no longer ignore this issue. The criminal justice system has contributed to the destruction of my family. I am a survivor of 18 years of domestic violence. There was no one or shelter to take children and animals in. After trying and starting over, In February 1995, I had enough abuse; the boys were involved in an accident with their father when he was drunk. I made him leave and his father evicted his grandchildren and me three days later. Then, I lost everything, business, house, animals, children, and my mind to the insanity of alcoholism. My children have survived much trauma. Their father received three months probation when he demolished my car we were sitting in, with an axe. He would pay no support causing us to lose our place of residences. No shelter would take us in because we had animals. I received a fine when my horse was eating grass in the neighbor’s yard and my father in law gets no punishment for having 21 sticks of dynamite lying around. The boys thought they were flares and were trying to light them. I could go on with many more horror stories of abuse suffered at the hands of their father. No woman or child should ever suffer as we did. Now to see the pattern continue with my children, enough is enough. The police who slapped their father on the hands for his wrong doings became the magistrates that set exceedingly high bonds, violating their 8th Amendment rights. The probation officers who continually stated their intent on prison and not treatment as I repeatedly requested. Treatment that makes a difference, they have a chemical imbalance of the brain that needs to be addressed on top of PTSD. There should be a Law enacted that No elected officials should have stock in alcohol, pharmaceutical, or the private prisons. These industries only capitalize on the disease and decay in Society. With the money spent on repeat offenders what ultimate cost to Society if people were educated to be productive members? Thank you for researching their records. Your correspondence was received and reviewed. The Canons of Judicial Conduct prohibit judicial officers from discussing matters that may come before this Court with litigants or the public. All communications presented to the Court must be through appropriate filings with the Prothonotary of the Supreme Court, in full compliance with the Rules of Appellate Procedure. There will be no further response from this office. SACRAMENTO, Calif. — University of California medical researchers slipped an ingredient in chili peppers beneath the skin of marijuana smokers to see if pot could relieve acute pain. It could - at certain doses. They monitored patients with AIDS and HIV as they toked on joints or placebos to determine whether marijuana could quell agonizing pain from nerve damage. It provided relief. They tested a "Volcano Vaporizer" to see whether inhaling smokeless pot delivered healthier, low-tar cannabis. It did. Over a dozen years, California's historic experiment in medical marijuana research brought new science to the debate on marijuana's place in medicine. State-funded studies - costing $8.7 million - found pot may offer broad benefits for pain from nerve damage from injuries, HIV, strokes and other conditions. Nuked at The Three Mile Island Nuclear Accident in March 1979, nine months later an idea was born. I am called GLoLady, a woman who radiates light, because I invented glow in the dark clothing. Glow Butts the original glow in the dark underwear and Glo For It! Originals. Introduced, produced, and designed clothing for fashion shows in two of the top Nights clubs in the World. (The promoter at the Limelight in Manhattan screwed up my fashion show and was convicted for killing his drug dealer) I invented glow in the dark safety products contacted the World Trade Center regarding a glow in the dark escape route system. It was not mine that was installed but one that is now part of Local Law 26 in New York City. Business accolades then personal challenges destroyed the business, home, family, my mind. The light went out on my dreams and all that I lived, loved, and worked for. That was in 1995. 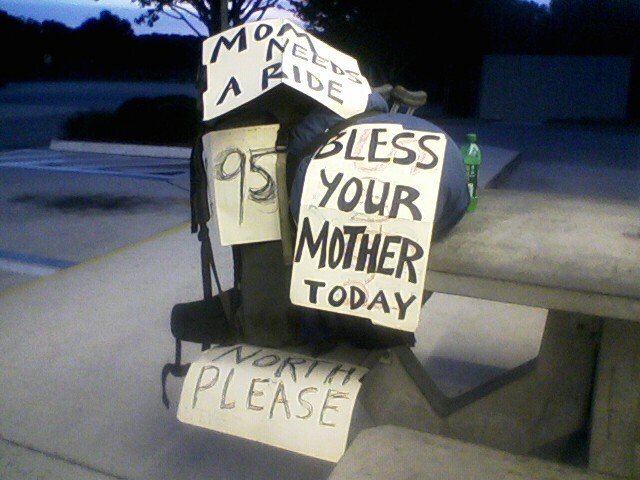 In 1997, I participated in a 900 mile Veterans March from Melborne, FL to Washington DC. Educating the public on Health concerns and POW/ MIA Prisoner of War/ Missing In Action. That was a life changing eye opening experience in my life. I found out that Service is Good for the Soul. That I had Constitutional rights and if I did not hold my Government accountable, who would? In 1999 SR 755 Missing Service Personnel bill passed trying to protect future generations from being left behind unaccounted for. On February 1, 1999, I found out that I had the fatal disease of alcoholism and have been in recovery from a seemingly hopeless state of mind. A disease that ravaged my family and the effects continue in the generations that follow. Now the understanding of why spirits is on the label of your alcohol. The personality change that occurs as a result of too many spirits ingested into the human, for the psyche to handle. The Criminal Justice System profiting because of the Disease and Decay in Society. The Criminalizing of Cannabis and Industrial Hemp in the War on drugs that created drug cartels and the American Government supplies their arms. Enough is enough. Peace pipes bring Peace. Starting a business over for the fifth time in 2003, I started a Photoluminescent Safety Egress Company. My supplier in New Zealand told me to bring in a competitor as a customer. Then told me to sit back and collect royalties. I did not agree with the decision. With a Notarized statement I walked away from Corporate Greed in March 2005. Six months later the man was arrested and is serving twenty years in prison. Moving to the beautiful mountains in Western North Carolina in March of 2007, I tried to be normal and fit in. Started a produce stand with another girl in February of 2009 that I had to walk away from just when it started to turn a profit because of a violent criminal called Bubba, who cut off the heads of fish and buried them at our produce stand. The Judge laughed at me in court stated he knew this guy for many years; he threw out the violation of the restraining order. I did Not Feel Safe in the town after that. In August 2007, I found out about URTV, Western North Carolina Community Media Center. It was a Public Access Station where anyone in the Community could use professional equipment to produce TV shows that aired on the local cable station. It was funded by PEG (Public Education Government) Revenues and a Video Sales Tax that is on your cable bills. The battle for a 1st Amendment platform was designed to fail from the beginning. The local Government could not control the Free speech until they denied the funding. The People’s Voice was Silenced in Asheville, NC on May 14, 2011. That was my job and the start of another business that was destroyed by another’s actions. Because of TV shows that exposed the corruption in local Government. Now our only public platform is three minutes in front of our County Commissioners who throw you out of a meeting if they do not like what you say. The Chairman proudly admitted he was taking away my 1st Amendment rights. They said go use Social media. 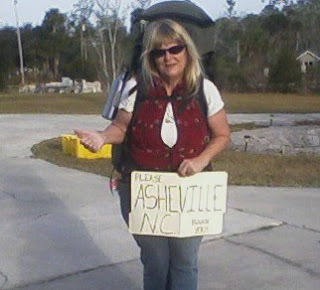 As a Citizen Journalist I video recorded an Occupy Asheville March on November 2, 2011. On November 5th, I was arrested along with eight others. Picked off the street and falsely imprisoned. Stating my innocence from the beginning it took seven months and five court appearances for a jury of twelve on appeal to find me Not Guilty of impeding traffic after ten minutes of deliberation. The officer testified there was no evidence of disorderly conduct or resisting police officers for the two charges out of three that were dropped. The prosecuting Assistant District Attorney even Lied during closing argument. What a blatant waste of tax payer’s money to Silence me. After all the miles I have journeyed I have learned that it is not just my voice but many that are being silenced. The news we get in Mass media is spoon fed. The local media covered my case when I was found guilty by an ‘impartial” judge, but only one paper covered my acquittal. We the people need to communicate. That is what brings the Unity into our Community. The former producers still have people come up and ask us What Happened to URTV? GLoLady is found on many websites though out the internet. I have been branding GLoLady since I bought the domain in 2000. My youtube channel has been viewed in 146 Countries around the World. My TV shows and other art works are still being added and re added. We do not know what we do not know and sometimes what we are taught is not the truth. I Love Enlightening the Masses and would like to continue but, I need the equipment. My camera died after 10 years of faithful use. I need two lap tops with editing software, portable hard drive, 2 video cameras, 2 tripods, 8 XLR cables, 4 microphones, live feed fees, tapes, dvds, light package, switcher box to start with. That will get a multitude of people back communicating with their Community. The friends that I met at the studio have become my family today. 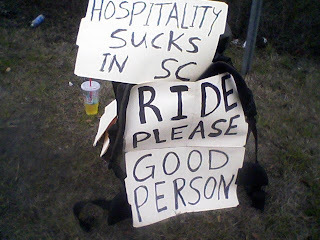 Ever since my run in with Bubba, I have been learning how homeless people live. I have learned enough. My car broke down 3 weeks after the TV studio closed so challenging is to say the least. Especially in a town that likes to slash tents, take you to jail if caught sleeping in the City, and Numerous other adversaries. So, I plan to get a short bus to live and work out of. There are places that I need to go, People that I need to see and Laws that need to be changed. If I don’t speak up, Who Will? Thank you for your consideration. I plan to use this platform as a way to Revolutionize the US economy. Please watch my video “How glolady became GLoLady” This is but a drop in a sea of excitement. My life is never dull and boring. Stay tuned for the latest adventure of my personal soap.